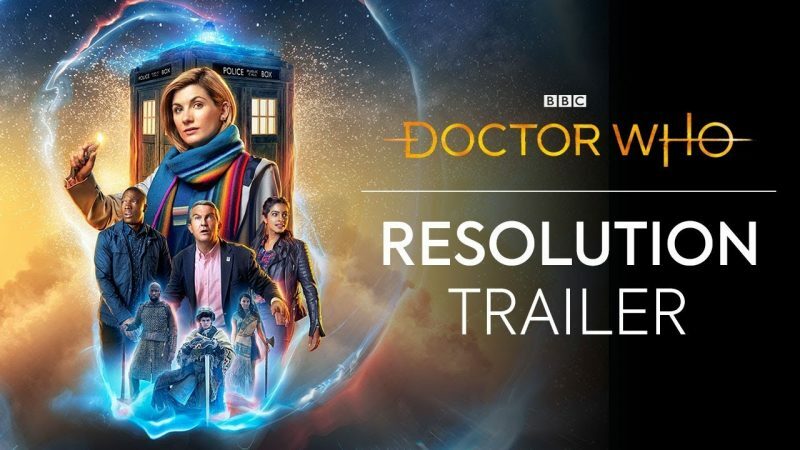 While we won’t be getting a Doctor Who Christmas special this year, we are in store of a New Year’s Special, and the BBC has just released the trailer for the special, titled “Resolution.” The story involves an ancient evil that’s been buried on Earth since the 9th century, and when it’s unleashed, it’ll stop at nothing to take over the planet. That is unless Doctor Who and her companions have anything to say about it. You can check out the trailer in the post below! For Season 11, the new Doctor, Jodie Whittaker, is joined by an all-new cast of characters in the series, including Bradley Walsh, Tosin Cole and Mandip Gill. Also joining the series in a returning role is Sharon D Clarke. Chris Chibnall takes over as head writer and executive producer from Steven Moffat for the series, which is set to return in the fall of 2018 with ten brand new episodes. The Doctor Who New Year’s Special will air, appropriately enough, on New Year’s Day.